Hosting a large-scale gathering for business, academic or any other purpose can require lots of organisation make the event a success. 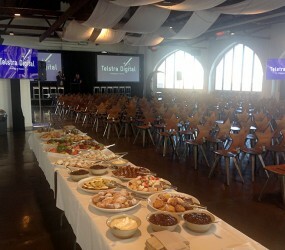 Getting everything running smoothly will help keep minds fresh and make all attendees comfortable for the duration. 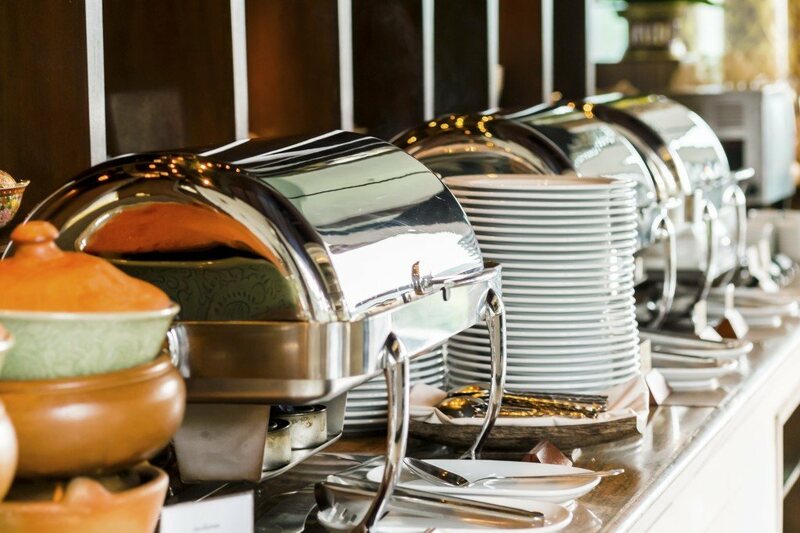 We have extensive experience with event catering and can fill the stomachs of both small and large groups with excellent cuisine in a buffet or sit-down style with canapés, morning tea and afternoon tea also available. 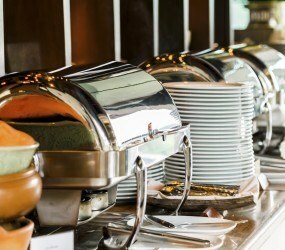 Thanks to our dedication to high standards in both quality of food and customer service, we have earned a reputation in the industry as the go-to providers in Melbourne of conference catering. Not only do we treat your taste buds — we always strive to make sure all your needs are met so that you don’t have to worry about a thing while we do our thing. Everything will be discussed with you beforehand so that it all goes to plan, and our menus can be customised upon request. Going Gourmet puts experience together with a passion for hospitality and help host a successful conference for you and your guests. Our team is well-practiced in event catering across Melbourne and can run a smooth ship with maximum organisation and efficiency. Whether it’s an informal gathering or a high profile function, we can provide an appropriate service with flexibility and dedication. Do some of your guests have specific nutritional requirements? No problem! When catering for a large group you are bound to be faced with a range of dietary needs. We have all the resources and expertise to prepare succulent snacks and mouth-watering meals that are vegetarian, gluten-free, halal and more so that everyone can enjoy an amazing feast. Find out why we are renowned for conference and event catering in Melbourne by getting in touch with us today. We are always happy to hear your enquiries, so don’t hesitate to contact us by phone on (03) 9543 8810. Otherwise, leave your details on our contact form and we’ll get back to you promptly. BAR STAFF HIRE: Our mature minded staffs are there to pour beer, serve wine, beverages throughout the event, and bus all glass-wear as well as general all-round assistance for smooth running of your event. The minimum hourly requirement is for Four hours. APPROACH BARS: This is where bar staff are serving from a single bar station, whilst your guests approach the bar for drinks service. Glassware can be displayed, pre-poured or how you wish. Approach Bars are great to reduce staffing costs and equally elegant and effective. GLASSWARE: Do you have enough glasses for your event? We stock a wide range of glasses with racks of 36 glasses per type. We use only the best coffee & a variety of herbal & English tea’s straight from the plunger pot. We Supply in this package: Hot water urn, cups, saucers, teaspoons, ground coffee & teas, sugar & milks. ***A minimum of 35 cups is required to order this option for your event and in conjunction with your food or beverage package.